Formulated to remove unwanted yellow tones and re-hydrate thirsty hair to leave locks smooth and bursting with life. 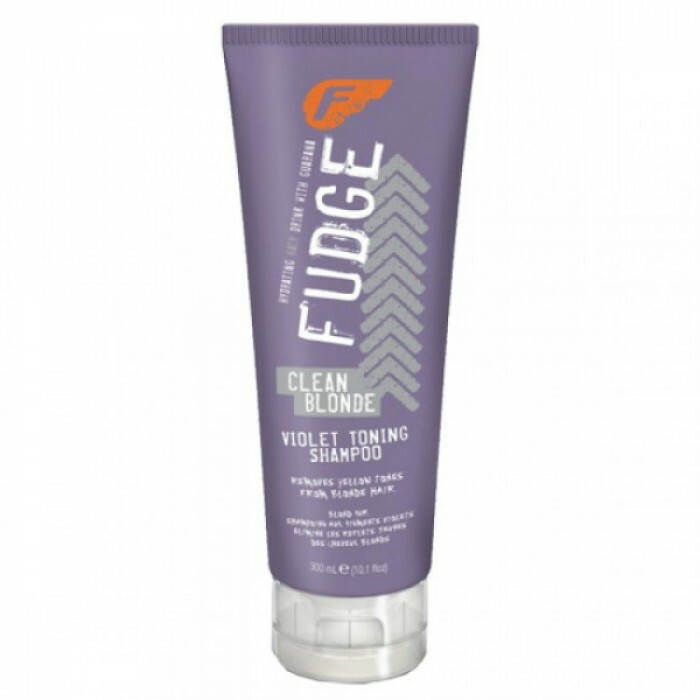 Fudge Clean Blonde Violet Shampoo is the perfect weekly boost that highlighted hair and tinted hair needs to keep illuminated and full of healthy shine. Directions of use: Apply to wet hair, Lather evenly. Rinse thoroughly.